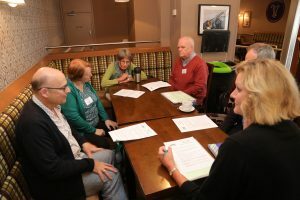 Our Annual Conference is a great opportunity to connect with other people involved in Pastoral Supervision, whether as supervisors, educators, or other interested parties. 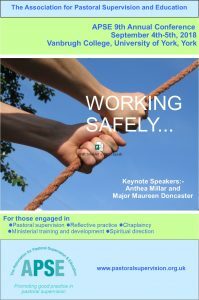 The 2018 Annual Conference “Working Safely” took place on Tuesday and Wednesday 4-5th September 2018 at Vanbrugh College, University of York. Our keynote speakers were Anthea Millar and Major Maureen Doncaster. DAWN ALLISON writes: “WHAT an amazing time we had at the APSE Conference 2018, which was idyllically situated at York University. Something of its charm and elegance was captured in the eloquent presentations of the key note speakers, Anthea Millar, on the subject of ‘Trauma Informed Supervision’ and Major Maureen Doncaster, on ‘Well-being of the Whole Self’. Every pastoral supervisor needs to ask themselves the question, ‘How can I run a safe and ethical practice?’ By the end of the conference, we were in no doubt about the answer! Having immersed ourselves in a variety of workshops on ‘Resourcing Ourselves and Resourcing Others’, ‘Pithead Time for Clergy’ and ‘Extending the Context for Pastoral Supervision’, we were truly enriched with both theological and psychological concepts. The development of this knowledge in my opinion, establishes APSE as a robust organisation, one that takes seriously both its ethical and moral responsibility. We tackled issues such as trauma, abuse and the shadow side of faith communities, leading onto what constitutes a healthy and well-functioning environment. We even had current research evidence to back it up! PHIL KING writes“The conference offered great opportunity to meet with old and new colleagues and to update and exchange news. As I have recently moved areas it was a lovely opportunity to meet with several colleagues who live and work in this new area. Particularly helpful was the reflective groups after each key note speech where we all had an opportunity to discuss some of what we had just heard. It was encouraging to learn of the progression in many churches in recognising the need for regular pastoral supervision for its leadership, although there is still some way to go! Maureen Doncaster’s speech was encouraging and moving as she outlined the structure the Salvation Army now has in place for its workers which is the result of many years hard work. The very important task of self-care for the therapist was made clear together with the continuous impact of the work especially if the work is of a traumatic nature. 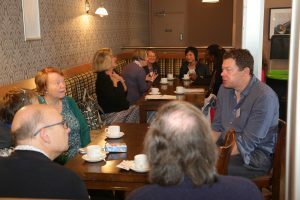 Jan Korris gave a positive insight into the effectiveness of good well structured reflective groups that are being run in many of the Anglican dioceses. 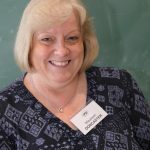 DAVID REDMAYNE writes: “What was a recently retired Church of Scotland minister, now training in pastoral supervision, going to make of the annual APSE conference? I was soon going to find out as I arrived on the bright pink No. 66 bus from York Station! The keynote speakers gave very full and lively expositions of their chosen subjects. 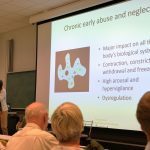 I must admit that Anthea Millar’s talk on Trauma Informed Supervision took me a little out of my depth, drawing as it did upon psychotherapeutic knowledge. However, I was fascinated by some of the insights on the effects of trauma and the influence it can have on supervision. I was particularly taken by the social engagement aspect of the fight/flight or freeze response. I now understand why my two year old granddaughter, when frightened by a loud noise, instantly grabs her mum and says, “Huggy Mummy”! Maureen Doncaster’s presentation of her work in the Salvation Army was nearer my own experience and her introduction, which talked of her work with officers helping them “to flourish to what God intends them to be” really struck a chord. Realising, however, that a significant part of her work is in dealing with traumatic events and their consequences, was sobering and humbling. I was impressed that an important part of her ongoing work is in building resilience in the officers and workers so that they are better equipped to deal with such events in future. I always find it hard when presented with choices of workshops to decide which ones to attend! Shall I go with something familiar – or with something completely new? I first went to Sue Jeppesen’s presentation on her work with junior doctors in her hospice unit – a somewhat unfamiliar area for me. It was a fascinating insight into the difference that pastoral supervision can make for these trainee medics as they face a very different setting to that of a regular hospital – a positive difference which I am sure will stay with them throughout their medical career. 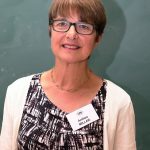 Jan Korris’ work with reflective practice groups of clergy was more familiar territory but it was good to learn from her experience and insights she had gained working with Anglican clergy. I particularly valued the Reflection Groups following the Keynote Lectures. This was a new concept for me for a conference. They provided a worthwhile opportunity to consider and discuss aspects of the talks and related issues which helped to deepen our learning from what we had heard. The devotional times, too, gave a valuable space in each day for spiritual reflection.